Or so everyone claims. Who better to refute this than Jilly Cooper! 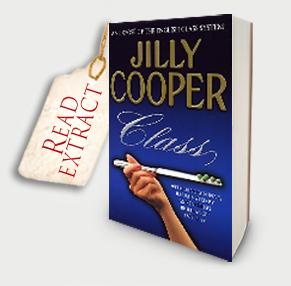 Describing herself as ‘upper middle class’, Jilly claims that snobbery is very much alive and thriving! Meet her hilarious characters! People like Harry Stow-Crat, Mr and Mrs Nouveau-Richards, Samantha and Gideon Upward, and Jen Teale and her husband Brian. Roar with laughter at her horribly unfair observations on their everyday pretensions – their sexual courtships, choice of furnishings, clothes, education, food, careers and ambitions… For they will all remind you of people that you know!